Author Rajinder Singh BhallaPosted on November 30, 2018 November 30, 2018 Categories Health News, Kidneys, LiverLeave a comment on What is the role of liver in maintaining the mineral balance in blood and cells? Various blood tests are performed for checking the level of minerals and vitamins in the body. The volume of blood in human body is 6 to 7% of the body weight. That is about 4 to 5 liters for a person of 70 kg. So these blood tests are vastly altered by the amount of water that a person drinks before the blood test. But there is no alert given to the patients who is undergoing a blood test to monitor the water that the person may drink. Now let us say that a blood reveals that serum calcium of a person is lower than recommended range. Now the next question is – whether by supplements or by changing the diet to include more of deficient mineral, the serum mineral can be increased. What is relationship of increase in mineral intake and increase in serum mineral. So far as I have understood the relationship between mineral intake and serum mineral, there is no relationship. Even after taking the calcium supplements for years there has been no increase in serum calcium across the population of this earth. Google ranks web sites higher if they have nice images. The above web site has nice images and so it will rank higher. The above web site deals with increasing the vitamin C dose to reduce suffering from cold and flu. There is no explanation given of the possible mechanism which could be behind this perception of relief from cold and flu. According to my experience and my experiments with the working of human body – with vitamin C is major reason for high incidence of cold and flu. Vitamin C increases the absorption rate of minerals in the blood. In the process large quantities of vitamin C are also absorbed in the blood causing lodging of large quantities of vitamin C in cells. That becomes breeding ground for all bacteria. Then Vitamin C keeps pushing more of irritants in the blood which are causing inflammation in the cells providing some relief from cold and flu. I got complete relief from cold and flu of more than 40 years by reducing intake of vitamin C.
Whatever it be. Even if my experience is wrong, there should be complete explanation if one holds a point of view so that others can review the same. Yesterday there was a news item that tea and caffeine reduces the absorption of sugar in the blood, thereby providing some sort of protection from diabetes. There cannot be any further away from truth than this statement. Caffeine reduces absorption of sugar in blood – that is true. But caffeine absorption in the blood increases with that. After some time caffeine starts reducing absorption of sugar into cells lowering the Resting Metabolism and triggering Metabolic syndrome and all associated diseases. And there is nobody to watch out who is posting what. People can get rid of posting any garbage and play with public health. Obesity is the not does not cause heart disease and kidney disease. 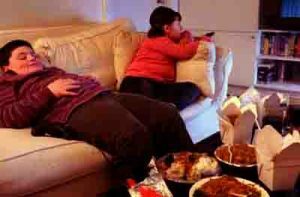 Obesity is outcome of fluid over load and fluid under load. Obesity is not the cause of heart disease and kidney disease. Obesity is the effect / result of poor kidney functioning. Unless we start seeing the problems correctly, we will never find a cure. Every body is busy shifting the focus and blame to others. Kidney mal-functioning due to fluid over loading is the key to every health problem. Earlier I shared the health conditions of my father in 2014. He had sepsis and then multiple organ failure. Doctors said that there is no possibility of this recovery and he cannot recover from semi conscious state. But he did recover and was completely independent. I tried finding out what worked in his recovery. Posted my thoughts about the factors which might have helped my father recover. I shared my thoughts, but no one corrected my thoughts. In Nov 2016 my father suffered from sepsis again. Again he was in semi conscious state for more than 15 days. Same way doctors opined that he will not survive. I did the same thing that I did 2 and ½ years back and he recovered. But then his improvement was taking time, as I had been trying to find the exact cause and did not give up medicines as I did in 2014. This time I found that epilepsy medicine was the main problem which was denting his recovery efforts. I spoke to my friend doctor and took a calculated risk by cutting down his epilepsy medicine by 50% and there was perceptible positive change in 12 hours. Still it took me more than 15 days to completely stop the epilepsy medicine. Since that day there has been consistent improvement in his health. I some areas he has recovered better then he had recovered in 2014. To the best of my understanding his brain has started working much better than it was working after 2014. That is still to be seen for next few months. If he continues to maintain the improvement in his brain functioning then epilepsy and other brain related conditions can be completely cured without any medicine. One day my father takes saline water (1.25 grams of salt in a glass of water). 3-4 glasses of water during day time. Next day my father takes 3-4 glasses of water without salt. In addition he takes 2.5 grams of table sugar every 1 or 2 hours. So far there is no seizure and he is without epilepsy medicines for last 30 days. I am keeping my fingers crossed. Hydration / dehydration cycles are best to improve the immune system of an individual. This is free. You do not need to pay anybody. People have to be educated about using this free natural cure. I personally went to civil lines office of CM to meet him and discuss with him. I was not allowed to meet him or any senior person. The claims of AAP that it is accessible to masses is a farce. The scientists claims of slowing down aging process is faulty. Water is the biggest inflammatory item. One of the group was given water alone causing inflammation. The other group was given a drug to remove the toxins of the metabolic process. These toxins must be removed with the help of fluids in cells. You do not need drugs to remove the cellular toxins. Dehydration is natural detoxification process. Hydration is the process of supplying nutrients to cells and dehydration is the process of removing the metabolic waste. Planning hydration and dehydration cycles is the key to not only slowing down the aging process but reversing the aging process. This drugs itself will become the biggest toxins in the due course of time. The body will fight hard to remove this drug. It is better to read my blog rather then reading these useless scientific studies. In the present study water giving with the drug is used up to remove the drug and thus is spent causing less inflammation. The other group of animals were giving pure water. Pure water became toxic in the absence of the drug. The other group could be tried with reduced water intake and then it will reverse the results. There has been single blind studies, double blind studies and triple blind studies, but the best million blind study has been recently published. You cannot miss this study. With every increase in research funding, with every development of new drugs, with every new study getting published the diseases are increasing. People are becoming sick. The people are becoming smaller and losing strength. There were fewer doctors, fewer gyms, fewer sports grounds, fewer of every thing 50 year back as compared to doctors, gyms, sports grounds as they are now. And there were fewer sick people. Why cannot the blind research/ studies see this and stop the research on health. These studies are really maddening and cause of every disease. Please check the above link and see where the humans will be in 2035. It is really very frightening. Allopathy and the above study cannot co-exist. The number of people who will be diabetic is going to increase to 45% of total population in 2035. The number of people with hypertension and heart diseases will also multiply by the year 2035. What use is then all this research and studies are. There is direct co-relation between increase in diseases and increase in funding of research related to health. Soda pizza and salt food is blamed in the above link. If you search internet, you will find every food being blamed for poor health and increasing obesity. The truth is that life style disease is created by pharma companies. There is no life style which can worsen health except improper fluid intake. Honestly tell me – can you eat Pizza, drink soda or over eat salty food without increasing your water intake. No body is working on finding the truth behind hydration. If a person does not drink water, he will not even go any where close to these things. People over indulge and then you get rid of excesses resort to drinking water and more of other fluids. Let people learn the importance of perfect hydration and there will be no sick person on this earth. 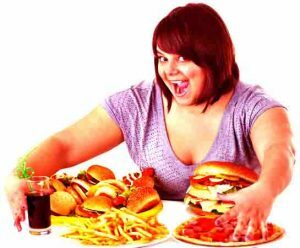 You do not need drugs to control over eating. Body needs minerals and vitamins to be healthy. But the New Research indicate that scientific temperament and common sense do not go together. Why do people eat more? Take a glass of water. Add a pinch of salt. Taste the water. If you feel that salt is less or negligible, you will need to take 1/2 glass of water next time or even less. Only a scientist or a doctor can advise people to add more salt to the water to make it palatable to a person who is over ready suffering from over eating. Then the so called doctors (sales man of pharma companies) will prescribe a diuretic to reduce the water content and then give another drug to manage excess salt. But it seems that scientist are losing their sleep to make drugs to stop over eating. Because drugs make people sick and that lets them thrive on sickness of the world. This world seems to have lost all the common sense. If your doctor tells you that you are short of some minerals, just reduce your fluid intake. Please use your common sense. Do not rely on so called scientists. After you follow Step 1 of the healthy you, you will not be able to eat for 2-3 days. Once your fluid is back to normal, your body will start demanding more and producing more energy to deal with day to day work. There have been so many people who complain that they do not feel hungry at all after they reduce their water intake. Do not wait for the drugs to get lean, use step 2 of www.healthyindianow.in to get lean and fit without any drugs.